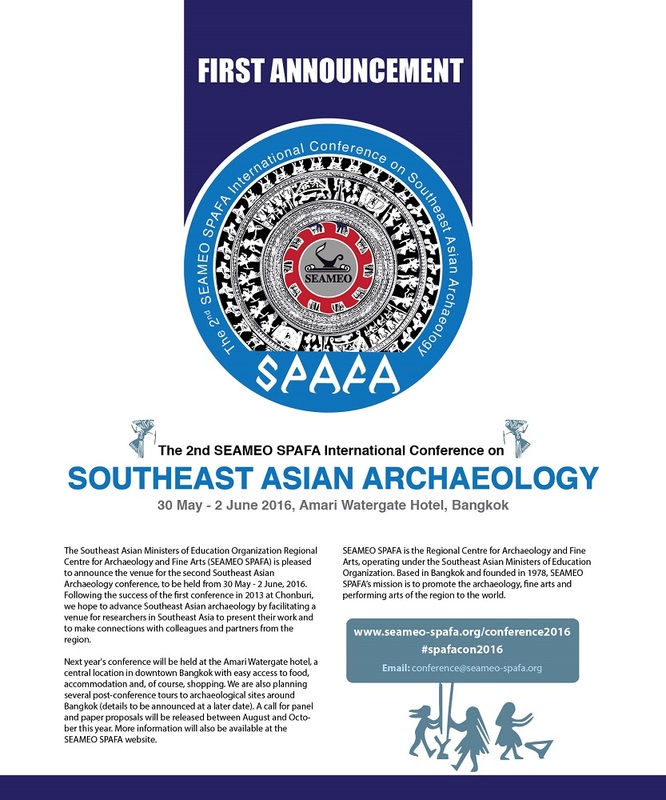 SPAFA’s first International Conference on Southeast Asian Archaeology was held with great success in 2013, with over 150 attendees from Southeast Asia and beyond. The second conference aims to continue this tradition of providing a platform for sharing and promoting Southeast Asian archaeological research. The conference will comprise of plenary and parallel sessions running for three days, with an additional day for site visits. The plenary sessions will deal with an overarching, to-be-decided conference theme, while smaller parallel sessions will encompass a large number of topics, including ceramics, bioarchaeology, underwater archaeology and rock art. Depending of funding, limited scholarships will be available to students and Southeast Asian participants. Southeast Asian Archaeology is an emerging region of interest in the world stage, although the sharing of information and research has been limited due to factors such as language and lack of resources. International conferences for Southeast Asian archaeologists are limited to the Indo-Pacific Prehistory Association (IPPA) Congress held every four years (last held 2014 in Siem Reap) and the European Association of South East Asian Archaeologists (next held 2015 in Paris). 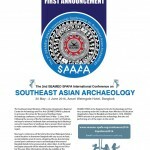 The SPAFA-led International Conference on Southeast Asian Archaeology aims to be the flagship conference for Southeast Asian Archaeology, one that is located in a Southeast Asian venue and dedicated solely for Southeast Asian research, with a focus on helping local scholars share their research.